Which plugins do I get in my rent-to-own subscription bundles? 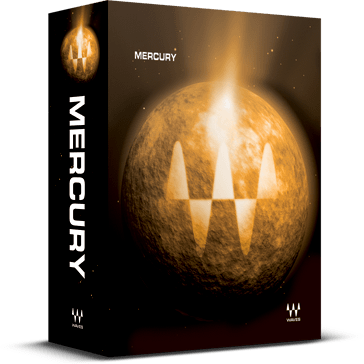 If you choose Platinum or Mercury, you get the exact same plugins you’d be getting if you bought those bundles outright, absolutely no difference – only at a fraction of the price per subscription period. 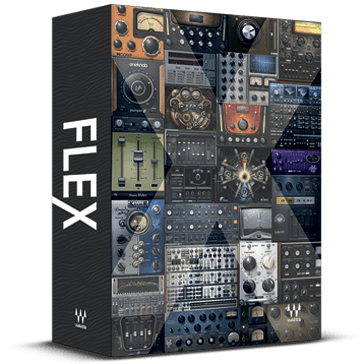 If you choose the Flex plan, you get to choose any 13 of these plugins. Do I get free plugin updates and full technical support when I rent-to-own these bundles? When you rent-to-own any of the above bundles, you get free Waves Update Plan coverage for the duration of the rent-to-own period (24 months), plus one extra year as a free bonus – for a total of three years of Waves Update Plan coverage. Can I cancel my rent-to-own subscription plan at any time? Yes, you can cancel your rent-to-own plan at any time through your Waves account. If you cancel, your plan will terminate at the end of the current monthly rental period. For example, if you started your plan on June 10 and you cancel on June 28, the plan will terminate on July 10. A note about how the “monthly rental period” is defined: Waves rent-to-own subscription plans runs from the start date to the same-numbered date on the following month, regardless of month length – for example, from February 25 to March 25, from June 10 to July 10 (but from March 31 to April 30). The rental month always ends at 5 pm EST. If you cancel, your plan will terminate at 5 pm EST on the last day of the monthly rental period; if you stay in the plan, your plan will be automatically renewed at 5 pm EST at the end of each monthly rental period. Are my plugin licenses renewed automatically each month during the rent-to-own period? As long as you continue your rent-to-own plan, your plugin licenses will be renewed automatically at the end of each monthly rental period. An updated license will be made available to you on the renewal date, and we will send you a notification email. The updated license will be activated automatically on your computer if it is connected to the internet (or on your USB flash drive if it is connected to your online computer). If your computer is not connected to the internet, you will need to activate your updated license on a USB flash drive using a computer with internet connection. In such cases, the previous month’s license will work for an extra 7-day grace period, so you can have enough overlap time to activate your updated license. After 24 consecutive months in your chosen rent-to-own plan, you will own your plugin licenses permanently, same as any license that you purchase outright. How do I install my rent-to-own plugins? Installation and activation are done via the Waves Central application, same as when you make a regular plugin purchase: see installation and activation instructions. Once you install and activate your plugin licenses, they remain activated as long as you continue your monthly rent-to-own payments: there is no need to re-install them every month. And of course, once you complete your 24 monthly payments, they stay installed with a permanent authorization. Can I use my rent-to-own plugins on multiple computers? Yes – same as when you purchase a plugin. A single Waves plugin license may be used on one machine at a time – but you can move your license between computers, either by authorizing a USB flash drive or through the Waves Central application. Can I pause my rent-to-own subscription plan and resume it later? No. To be eligible for ownership you need to stay in the plan 24 months without interruption. If you cancel your plan and you later wish to resume, the 24-month period toward ownership will start anew. Can I resell my rent-to-own plugins or transfer them to a different account? Only once the 24-month rent-to-own period ends and you fully own the plugins. At that stage you will be able to transfer ownership, subject to Waves’ usual transfer of ownership policy. No transfer of ownership is possible during the first 24 months, prior to full ownership. Can I upgrade from plugins in my rent-to-own plan to a larger Waves bundle? Only once the 24-month rent-to-own period ends and you fully own the plugins. At that stage you will be able to upgrade, same as with any plugins that you purchase. 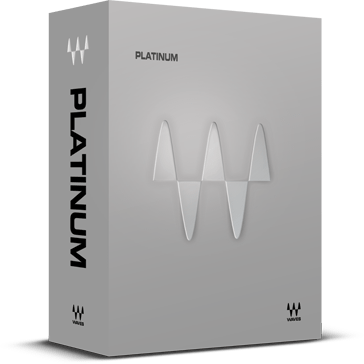 Can I upgrade from regular Waves products that I already own to a Platinum or Mercury rent-to-own plan? No. Upgrades or discounts based on what you already own are not available towards Waves rent-to-own plans. What if I just want to buy my plugins? You are welcome to do so! Check out our current specials. Visit the Flex rent-to-own page for more questions specific to the Flex plan. Waves rent-to-own subscriptions cannot be combined with others offers, such as vouchers or coupons. Waves reserves the right to stop or change these offers at any time. Local sales taxes may apply to your monthly payments; if applicable local tax rates change during your subscription period, your monthly total will be updated accordingly.